Easily modify your quick service restaurant menu options with optional and mandatory modifiers. 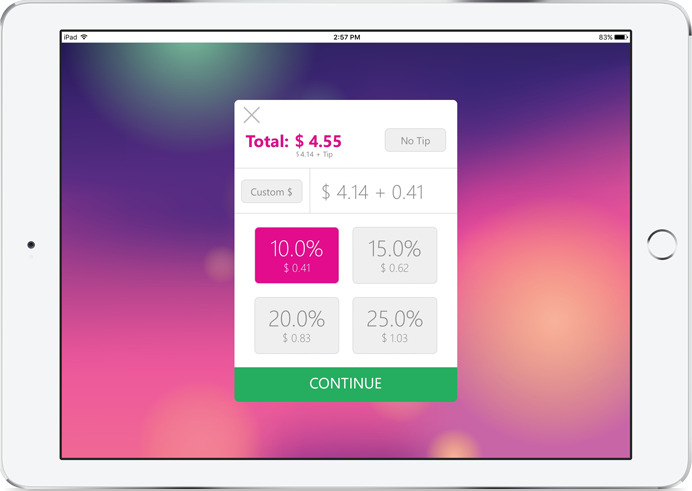 With NextEra’s POS system, watch as new or updated modifiers adjust prices automatically. 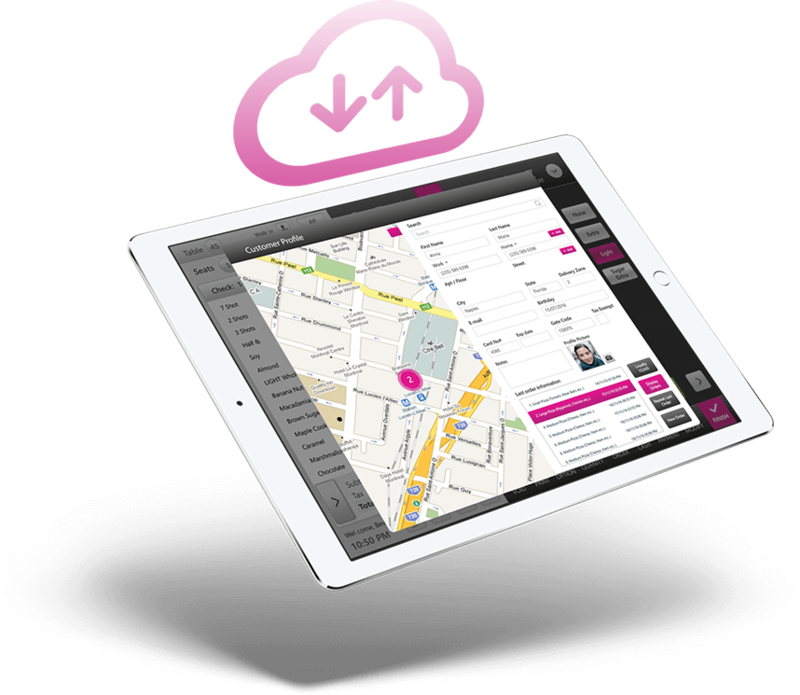 Manage your delivery operation with ease using NextEra’s delivery dispatch feature. Quickly assign or remove delivery drivers to orders, use delivery mapping, and view the status of orders. EMV readers are essential for any quick service business. Customers will indulge in the convenience and security. While you receive the ability to accept secure payments on-the-go. Need to receive new sale updates on the go? No problem! With NextEra iPad POS, receive text and email notifications of every new sale, or customize it further for your specifications. 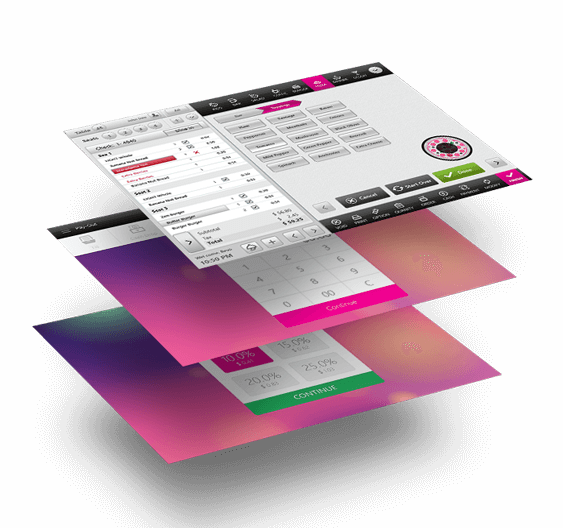 Get a to-go menu ordering system with your NextEra POS. Customers like convenience with quick service businesses, and with the to-go menu order feature watch your customer volume increase. Quick service business approaches work well with NextEra’s POS system. 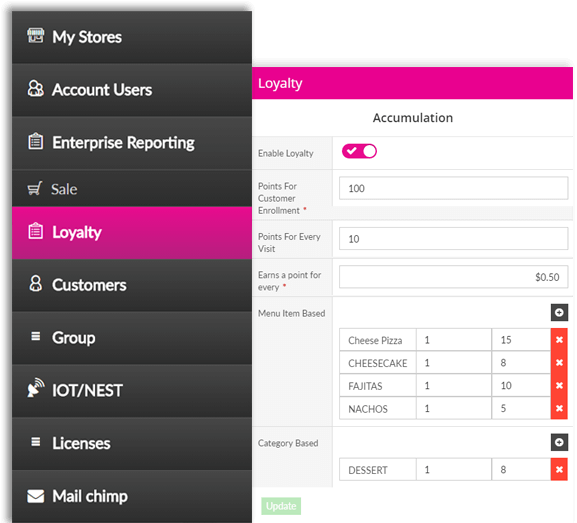 Enjoy an in-depth backend dashboard, and pull extensive reports to show anything from till management to daily revenue. 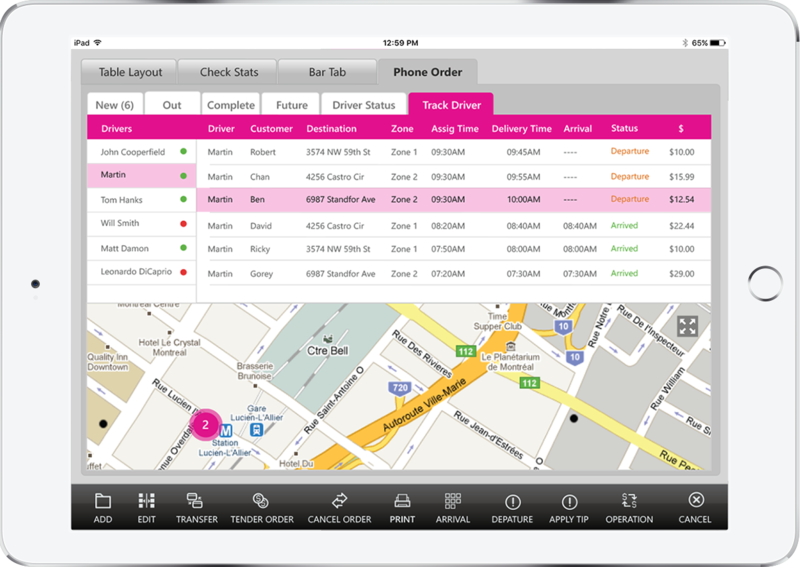 Manage all of your delivery operations from one automated restaurant system. Track new, complete, and future orders in relation to the delivery driver. Get assurance of having the ability to track all of your delivery drivers. 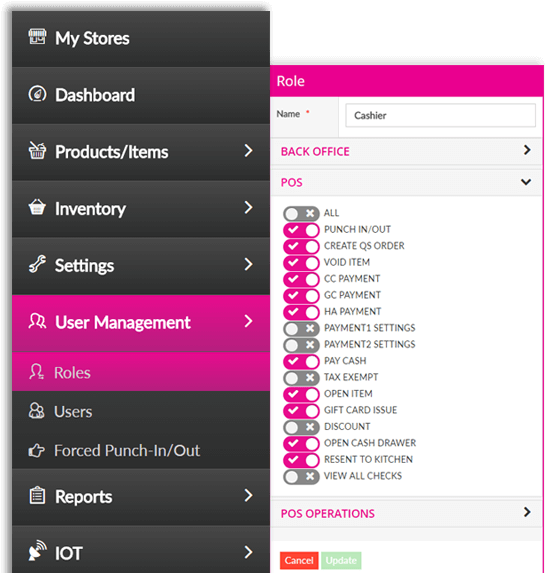 Use a powerhouse POS system that was designed to never slow down. 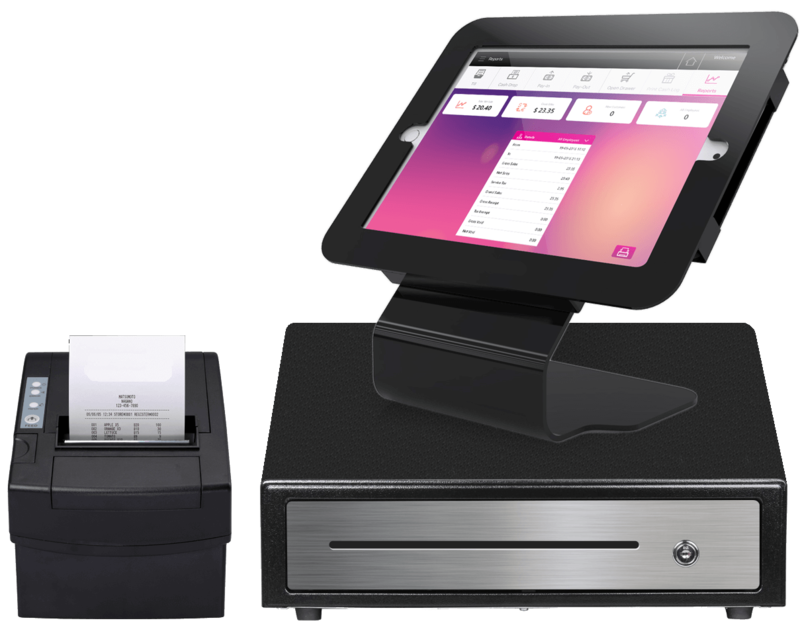 Nextera iPad POS comes with an offline feature where your iPad can work without the need of a computer server or another iPad. You don’t even need internet or WiFi! Nexterapos’s Tip Adjustment feature represents a way to speed up services at the full service level, and to keep costs low for all credit card operations. It easily allows the tip to be adjusted at the time of the transaction or before the end of the day. Nextera POS can translate into 30+ languages including English, German, Hebrew, Polish, Portuguese, Arabic, Chinese, Spanish and Turkish. If you don’t see your language, let us know, and we can customize our system for you. Enjoy cloud convenience with NextEra’s iPad POS. Access any of your sales data instantly from anywhere, at any time. We know you can’t always be at your business so enjoy all of NextEra’s features straight from home or on-the-go. Start planning ahead with the inventory module. 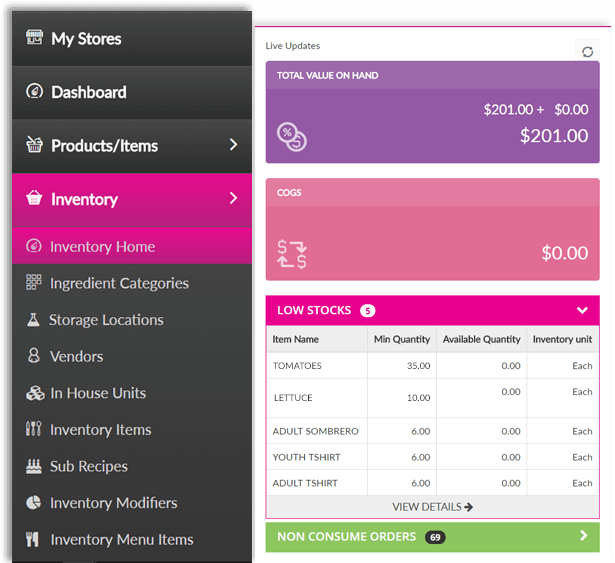 Analyze food costs with the real time inventory usage feature. As an added bonus, enjoy the bar control inventory feature to monitor over-pours or free liquor distribution. Customer loyalty programs are a must have for POS systems. Reward consumers easily with Linga iPad POS. Create rewards programs, and give points to loyal consumers. Then let them use these points on specific full service items. Copyright © 2017 NextEra POS, All Rights Reserved. Design by G4 Design House.